The vertical line on the forehead is getting more pronounced and visible. Looking into the mirror has become anxiety-inducing. Your eyes constantly look for fresh skin wrinkles. Looking back, I muse over the ‘pregnancy glow’ and perfect facial skin. Increase in blood flow, the growing fetus, increase in oil secretion, healthy hormone production of estrogen and progesterone gave the skin a dewy healthy glow. The obvious rosy-mom-to- be glow didn’t deter even strangers from showering compliments. Unlike some who shy away or feel awkward with special attention, I enjoyed the unsolicited generous compliments. Each day felt brighter and added a dash of happiness. After all it makes you feel good and look good. Post-delivery where did that healthy luminous glow go? Why hasn’t the skin retained the glow, shine and beauty? Yes, the extra demands of motherhood take a toll on the health of facial skin. Postpartum acne, overwhelming maternal feelings, thanks to fluctuation in hormones plus sleep deprivation, stress and zero time for skin care obviously show up. Dark splotches on the forehead, upper lip and cheeks are the inescapable additions. So, why does facial skin wrinkle with age? Let’s nail it. Things begin to change around mid-20s. Collagen and elastin regarded as the ‘darlings of the cosmeceutical world’, ‘the skin’s youth protein’ begin to get lazy and slow down production around this time. A plus in age marks a minus 1% of collagen every year. Elastin production which supplies skin elasticity and rebound also slows down. Also, GAGs or glycosaminoglycans production which keep the skin hydrated diminishes. The primary factor is collagen loss and the underlying structure, the bones. I understand that the degeneration of elements of the skin that keep it plump and supple lead to creasing of the facial skin. I am realistic and willing to embrace the beauty of wrinkles. Unless I learn to like, accept and respect the process of evolving with aging I cannot appreciate the more precious aspects of life or feel equipped to face the challenges of life. The anxiety is about the supposed relation between skin wrinkles and bone health. It is almost proven that facial skin wrinkles are an accurate predictor of bone density in women. Let me share few key research details on the subject â€“ facial skin wrinkles and bone health linked. Facial bones of patients who were 20 to 40 years old and 65 and more were scanned. Several areas of facial bone structure change overtime. Wrinkles and sagging skin may be a result of aging facial bones and even osteoporosis. Findings in early menopausal women only. At every skeletal site that was examined, wrinkling was translated to lower bone density. Bone mineral density at the lower spine, hips and full body examined. Significant link between higher levels of skin wrinkling and lower levels of bone density established. It is definitely better to be safe than sorry when dealing with one’s health. To me, at this point this research finding is an everyday reminder. This implies that facial wrinkles are more than skin deep. It signals an underlying health condition or a disease. But what can be the unifying element? Dr. Pal, a reproductive endocrinologist at Yale University who led the research on the subject explains that both share common building blocks – a group of proteins known as collagens. Going by Dr. Pal’s research findings it is clear that as we celebrate every birthday there is a change in collagen. Dr. Pal’s explanation kindled my curiosity to know more about collagen and its biological role in the human body. Collagen is referred to as the ‘youth protein’. Collagen is the most abundant, naturally produced protein in the human body. Protein makes up around 20% of the body’s mass, and collagen makes up around 30% of the protein in the human body. Collagen holds the whole body together. Collagen is found in the connective tissues of the body. More than 16 kinds of collagens are found in the tissues of the body. One – together with elastin and glycoproteins, it is responsible for the cohesion of tissues and organs. Provides supportive structure for various body tissues such as muscles, bones and ligaments and prevents them from falling apart. Secondly collagen gives the tissues and organs hydration, resistance, elasticity and flexibility properties. This is the overall biological role of collagen. To understand the link between facial skin wrinkles and bone health, I decided to delve deeper to know more specifically about the role of collagen in skin and bones. Collagen in skin: The middle layer of the skin is called dermis. On this, collagen helps form a fibrous network, upon which new cells can grow. Collagen provides support to the skin. Collagen gives the skin its vitality and structure and plays a role in the replacement of dead skin cells. Together with another protein, Elastin, collagen allows for skin flexibility. There are close to 16 types of collagen. Each type of collagen has different features. For example, a child’s skin with collagen III contributes to fast growing tissues. This makes the skin soft. As the child grows, the skin content of type III declines and type I collagen increases up to the age 35. Collagen in bone: Imagine a human body sans skeleton! And only a mass of soft flesh! We know that it is the skeleton that provides the framework to the human body. Other functions of the skeleton include providing shape, support, protecting the inner organs and making movement possible. To carry on its work, the skeleton is made up of close to 200 bones. And, collagen makes up 30% of the bones. Talking about bones how can I overlook the importance of calcium? The mineral is stored in our bones. Calcium is necessary for building bones and keeping them healthy. The mineral helps muscles, nerves, and cells work normally. Perhaps calcium disempowered collagen. As much as calcium, collagen too is important for bones. In fact, there is a strong contention that collagen is more important than calcium. Why? Collagen being the structural protein provides the framework upon which mineralization occurs. Without enough collagen, calcium will not be bound within the bone. Furthermore, collagen gives bones pliability (flexibility). 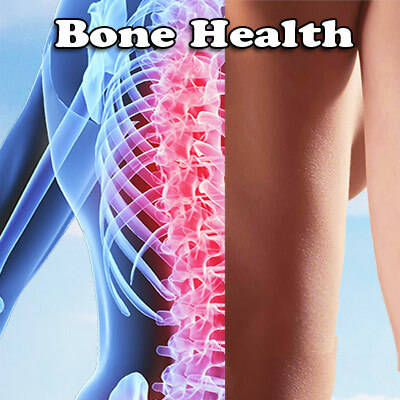 The combination of collagen and calcium makes bone strong and flexible. In life nothing ceases till the end. The production of collagen isn’t an exception. Research results indicate that only the amount of collagen produced reduces with age. The extent of decline is 1% to 1.5% every year. The decline begins around 25 years of age! Now, I feel the need to revisit Dr. Pal’s observation that the acceleration is evident in women nearing menopause. I decided to take photos of 20s and compare with 40s and 50s. Proof enough! Sagging of skin literally takes hold in 40s and 50s and beyond, the period when hormonal aging is on. Lower levels of estrogen ‘the feel good hormone’ production by the ovaries cast its inevitable impact. Dip in estrogen means less collagen and elastin production. It is established that as much as 30% of skin collagen is lost in the first five years after menopause. The effect of the decline causes wrinkles or fine lines, stretch marks, dryness of skin, loss of tonicity and lack of flexibility of the skin. By age thirty, the eye contours start to droop and the appearance of fine lines and small bags is clearly visible. Now let me move over to bone health in women nearing menopause. The depleting estrogen levels lead to significant reduction of collagen in bones. The reduction weakens the bones. Soon, bones become porous, weak and can fracture more easily. This explains why menopausal women are at high risk for osteoporosis. Thus, a look into the mirror and staring at facial skin wrinkles would remind me that the body is producing less collagen which in turn suggests that the bone health is decreasing as well. My question now is – Besides the biological change that is part of aging, is there any extrinsic factor that affect collagen levels? Not just one; there are many. Finally, the depletion of the nucleus of the link, ‘Collagen’ is established. The body is not producing as much as it used to. The link has only convinced me that collagen deserves a bigger role in my life. Being aware that there is no absolute method to reverse aging, I choose to look at things I can do to age well and feel well. Take care the natural way. ! Eat right: Food is a good way to naturally boost collagen. I can eat a nutritious diet. When I eat a nutritious diet I feel good. When I feel good, my spirit is high. Feeling happy makes you feel good and look good. Beans, cabbage, garlic and onion are collagen friendly. These are sulfur-rich which contribute to forming collagen. Broccoli, spinach, goji berries and kiwi fruits are skin-friendly. Planning a meal including these is a definite way to eating right. Here are few more that I need to include in meal preparation. Dark leafy greens (spinach, Kale and Swiss chard) that is rich in Vitamin C and A helps in collagen production. Eggs rich in amino-acids and mango rich in Vitamin C boost collagen production. Carrots are rich in Vitamin A. Damaged collagen can be repaired and restored with sufficient Vitamin A. White tea: Anti-aging properties, antibacterial properties, and rich in antioxidants, white tea is believed to prevent enzyme activity that breaks down collagen. The breaking down contributes to lines and wrinkles. Include foods with plant estrogens (phytoestrogens) that can help replace the effects of lost estrogen. Hummus, nuts, soy and pinto beans are must-haves. Water and more water: Let me keep my body hydrated by drinking plenty of water. The toxins when flushed out keep the body in good form. It is the easiest way to boost collagen. No lame excuse to skip exercises: Bones lasts longer when put to work. It could be an early morning walk or jogging with a group of friends or hitting the gym, no more lame excuses for not exercising. I don’t smoke : Smoking kills collagen. The effect of sugar too is the same. Sugar isn’t good for the skin. It makes the skin age faster. I should control, limit and gradually find a substitute for sugar. If not, the result is dull, dry and wrinkled skin. Sun safe: Outer protection in the form of applying a good sun protection lotion and including tomatoes, peppers and beets that contain the antioxidant lycopene (acts as a natural Sunblock) is a two-way safe approach to feeling sun safe and protected.